Go forward in time to May 2011. Have you seen the new developer.gnome.org? Daniel Siegel pointed me to it, and it is totally, totally hot. Gnome was first announced in 1997. We didn't start writing it absolutely from scratch; after all, we had bricks and mortar and GtkWindows, courtesy of the GTK+ toolkit — which in turn had been extracted from the GIMP, where it was born. It took two years for Gnome 1.0 to appear, and we released it in 1999. It was an odd house to live in. We didn't have the whole set of skills necessary for a good fit and finish, so some of the walls had sharp, pointy protrusions where you would sometimes hurt yourself, but the house felt strangely comfortable in a primitive sort of way. Some of the pipes were exposed and if you wanted a hot shower you had to know exactly which valves to turn. Later, in 2002, we released Gnome 2.0. This time we fixed a lot of the infrastructure. We hid all those nasty pipes and valves and re-soldered them so that if you wanted a hot shower, you could just step in and turn a single knob. We smoothed the walls so you wouldn't get badly scratched. We added elevators for the disabled. Doing all of this took a few years. The house got extensions and morphed into a whole village. Some of the bigger houses in the village, the Evolution house and the Gnucash house, went through excruciating pains to 2.0-ify them, but we made it. 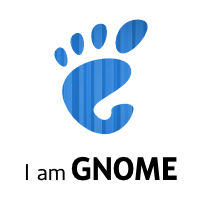 It is now 2011 and we have released Gnome 3.0. We dug up many of the streets in the village to replace the pipes and cables with newer ones. Most of the houses have had work put into them. All the windows got new insulation. Some of the houses are new, and you just moved into one of them. It's a very pretty new house, but like any newly-built house where you just moved in, it has things that need to be fine-tuned and debugged. You know what it's like. The paint on that wall has just finished drying, but you still need to put in a shelf for your books. The light switches at the bottom and top of the staircase are connected wrong, so you can't turn on the light. That window is hard to open; its hinges need a little filing and lubrication. You are not yet sure of where to put that little table that had a good spot in your previous house. But everything is and looks so new. It will take a few months, or a few years, before Gnome 3 attains that worn-in, comfortable feel that we had in Gnome 2. That takes time. It is a natural process. Now, go and enjoy your new house and the rest of the village. It's a comfortable, friendly place that awaits your exploration. Go backward in time to March 2011.